BlueJeans gives every employee the power to launch audio and video calls, chats and webinars from one simple platform on any device or room system. 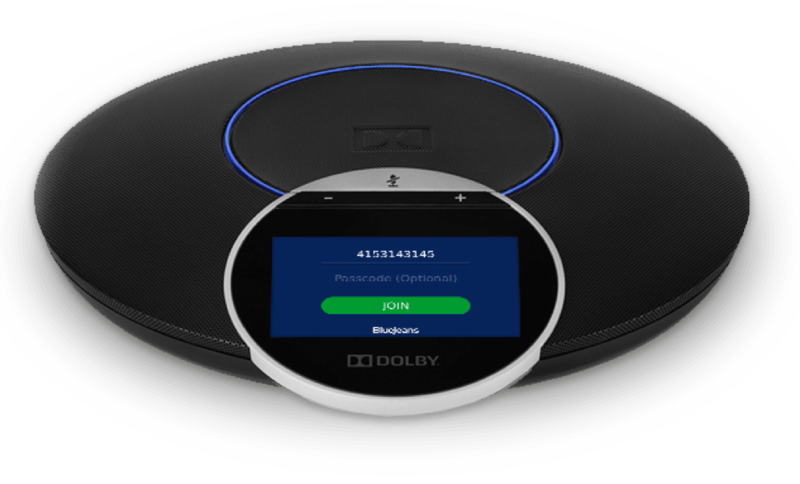 With the Dolby Conference Phone, meetings can be enjoyed in full room 360° spatial audio. 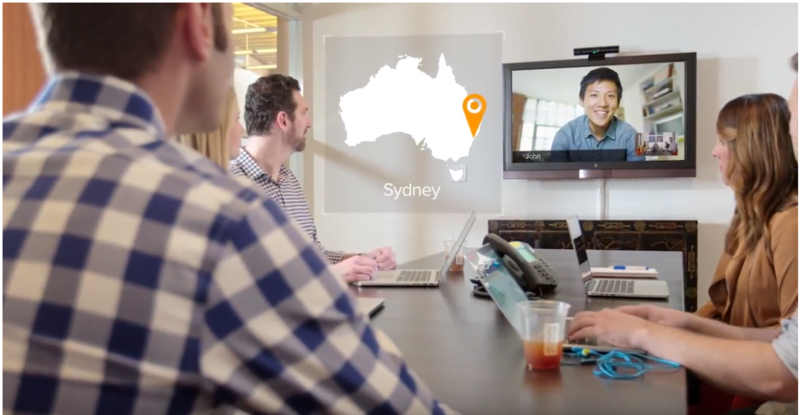 BlueJeans gives every employee the power to launch audio and video calls, chats and webinars from one simple platform on any device or room system. BlueJeans enables your teams with a suite of high quality video solutions, from simple video meetings on the desktop to large scale virtual events with up to 15,000 participants. Complete with Dolby audio and intelligent central management, BlueJeans delivers the right tools for everyone on your team. BlueJeans enables your teams with a suite of high quality video solutions, from simple video meetings on the desktop to large scale virtual events with up to 15,000 participants. 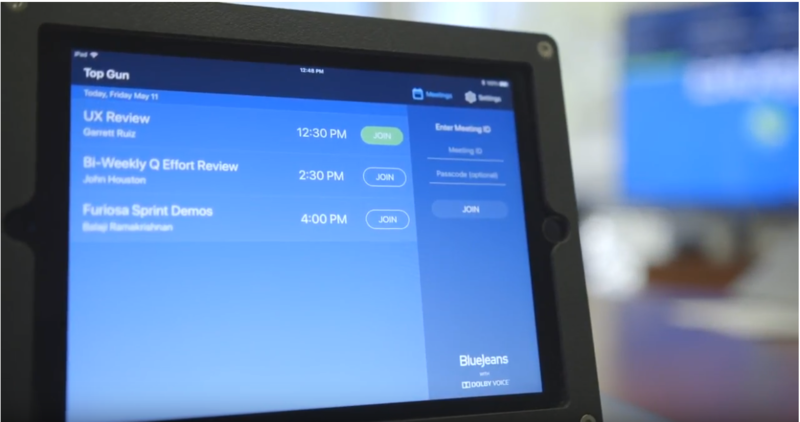 BlueJeans Meetings enables your whole office to instantly join, host or manage virtual meetings from any desktop, mobile device or conference room system. 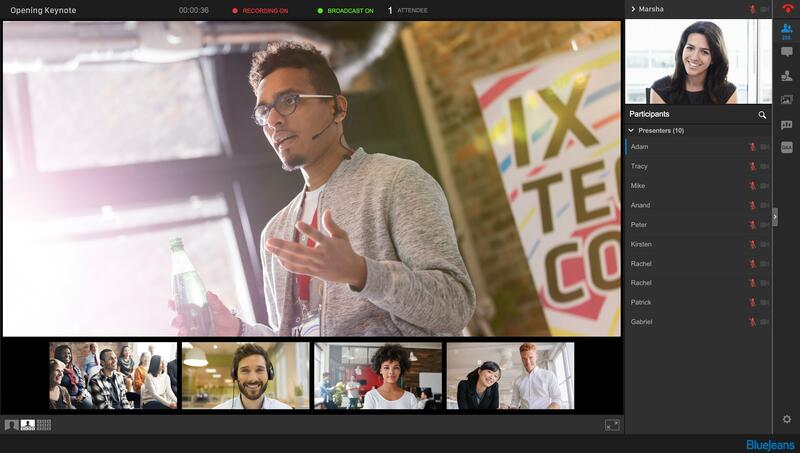 Engage in productive audio, video or web meetings supported by immersive HD video and powerful Dolby audio. BlueJeans Rooms turns any space into an easy to use video conferencing room, with little-to-no end user training required. BlueJeans Rooms is sold as an annual software license and compliments the BlueJeans Meetings service. BlueJeans Rooms with the Dolby Conference phone elevates your meetings with 360° spatial audio. Hear each speaker naturally with exceptional clarity, while limiting excess background noise. Hear the Dolby difference. Bring a whole new level of interactivity to live events, town halls and webcasts with BlueJeans Primetime. Engage up to 15,000 participants with video, Q&A, polling and advanced meeting controls. BlueJeans Rooms with the Dolby Conference phone elevates your meetings with 360° spatial audio. Limit background noise and hear each speaker with exceptional clarity.